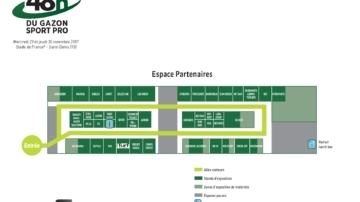 Following two fairs in 2015 and 2017 at the Stade de France, the 2019 event will take place on Wednesday 27 and Thursday 28 November 2019 at a new venue : The hippodrome ParisLongchamp (75). 3 000 groundskeepers, club directors, service providers, local authorities, landscape contractors. 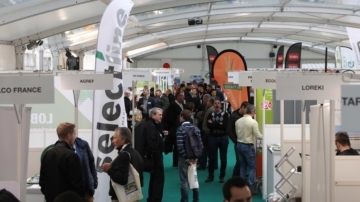 100 brands represented by their national managers : inputs, mowing and maintenance material, watering systems, heating, light therapy, accessories, etc. 4 types of grass grounds : golf courses, professional football and rugby pitches and horse-racing courses. 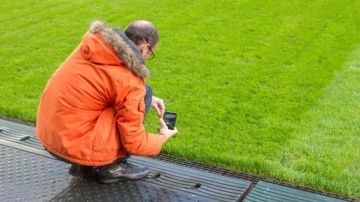 2 days of conferences on the maintenance of grass grounds for professional sports. 1 supplier tent where breaks and drinks will be organised during the event. 1 key date : November is a month when groundskeepers and directors decide on their 2020 investments. It is also a period when professionals have more time to spare. Check out the previous years’ 48h du Gazon Sport Pro in pictures in our photo gallery. See photos. Check out the Dealer Zone map and the general map of the 48h du Gazon Sport Pro 2017. See map.